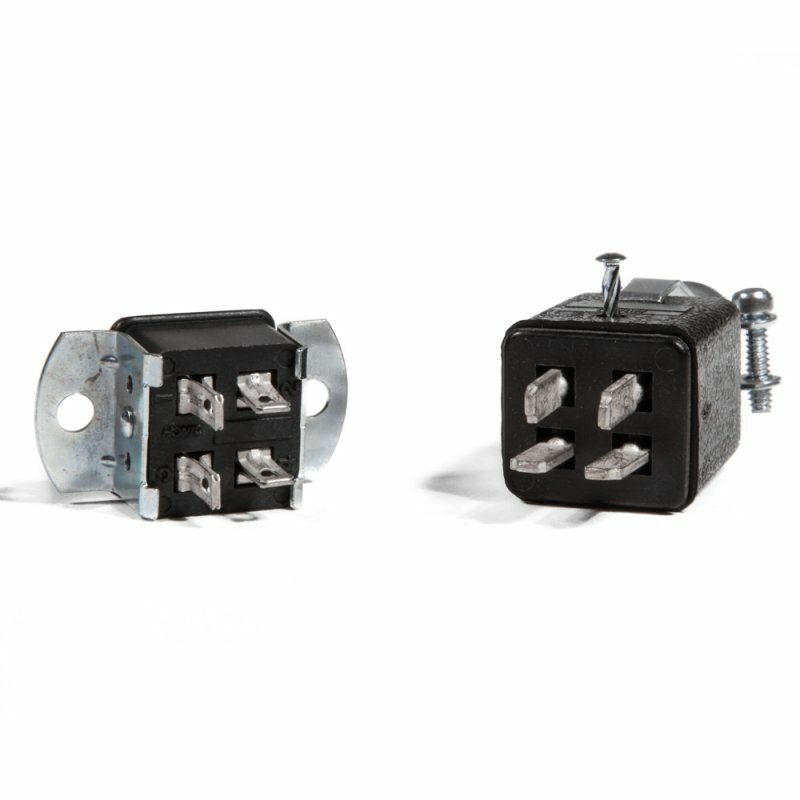 4 Pin Square Female Socket: Used on the early Fender Rhodes Suitcase Amplifiers, these receptacles become loose and worn out over time from too much input and the male 4 Pin cannot make correct contact. Loss of ground connection or voltage is a common symptom. Our new old stock receptacles have never been used and will fit tightly into the male pin. 4 Pin Square Male Plug for 4 pin cable: 4 Pin square male for use on 4 pin square cables for old Fender Rhodes pianos.